This summary of current regulations was updated on April 22, 2019. See the California Ocean Sport Fishing Regulations booklet for complete regulation information, including regulations for species not covered here. The recreational fishery for rockfish (Sebastes sp.) is open year-round to divers and shore-based anglers. The fishery is open to boat-based anglers from April 1, 2019 through December 31, 2019. These species may only be taken or possessed in waters less than 300 feet (50 fathoms) deep. The daily bag and possession limit is 10 fish in combination of all species within the RCG Complex (includes all species of Rockfish, Cabezon and Greenlings) per person, with a sub-limit on black rockfish (3 per person) and canary rockfish (2 per person), also included in the 10 fish RCG Complex aggregate limit. 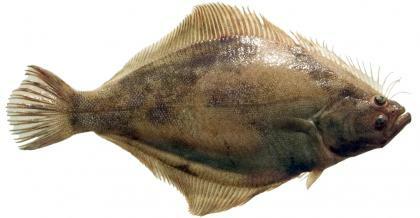 Yelloweye rockfish, bronzespotted rockfish, and cowcod may not be retained (bag limit: zero). When filleting fish on a vessel, the fillet must have the entire skin attached. Rockfish are part of a group of fish known as groundfish, which includes over 90 species that live on or near the bottom of the ocean (with a few exceptions). View a summary table of groundfish regulations. The recreational fishery for cabezon (Scorpaenichthys marmoratus) is open year-round to divers and shore-based anglers. This fishery is open to boat-based anglers from April 1, 2019 through December 31, 2019. This species may only be taken or possessed in waters less than 300 feet (50 fathoms) deep. The daily bag and possession limit is 3 fish within the 10 fish RCG Complex aggregate limit (includes all species of Rockfish, Cabezon and Greenlings), with a minimum size limit of 15 inches total length. The cabezon fishery is managed under both state and federal groundfish management plans. The state manages this fishery in concert with the federally managed groundfish group, which includes over 90 species that live on or near the bottom of the ocean (with a few exceptions). View a summary table of groundfish regulations. The recreational fisheries for rock greenling and kelp greenling (Hexagrammos spp.) is open year-round to divers and shore-based anglers. These fisheries are open to boat-based anglers from April 1, 2019 through December 31, 2019. These species may only be taken or possessed in waters less than 300 feet (50 fathoms) deep. The daily bag and possession limit is 10 fish within the 10 fish RCG Complex aggregate limit (includes all species of Rockfish, Cabezon and Greenlings), with a minimum size limit of 12 inches total length. The kelp greenling fishery is managed under both state and federal groundfish management plans, while the rock greenling fishery is managed under California’s Nearshore Fishery Management Plan. Although not a federally managed groundfish species, rock greenlings are often encountered by fishermen targeting federally managed groundfish. Thus, the rock greenling fishery is managed in concert with the federally managed groundfish group, which includes over 90 species that live on or near the bottom of the ocean (with a few exceptions). View a summary table of groundfish regulations. The recreational fishery for lingcod (Ophiodon elongatus) is open year-round to divers and shore-based anglers. This fishery is open to boat-based anglers from April 1, 2019 through December 31, 2019. This species may only be taken or possessed in waters less than 300 feet (50 fathoms) deep. The daily bag and possession limit is 1 fish, with a minimum size limit of 22 inches total length. When filleting fish on a vessel, the fillet minimum size limit is 14 inches in length and the fillet must bear intact a one-inch square patch of skin. The lingcod is part of a group of fish known as groundfish, which includes over 90 species that live on or near the bottom of the ocean (with a few exceptions). View a summary table of groundfish regulations. The recreational fishery for California scorpionfish (Scorpaena guttata) is open year-round to divers and shore-based anglers. This fishery is open to boat-based anglers from April 1, 2018 through December 31, 2019. California scorpionfish may only be taken or possessed in waters less than 300 feet (50 fathoms) deep. The daily bag and possession limit is 5 fish with a minimum size limit of 10 inches total length. When filleting fish on a vessel, the fillet minimum size limit is 5 inches in length and the fillet must bear intact a one-inch square patch of skin. The California scorpionfish is part of a group of fish known as groundfish, which includes over 90 species that live on or near the bottom of the ocean (with a few exceptions). View a summary table of groundfish regulations. The recreational fishery for California sheephead (Semicossyphus pulcher) is open year-round to divers and shore-based anglers. This fishery is open to boat-based anglers from April 1, 2019 through December 31, 2019. This species may only be taken or possessed in waters less than 300 feet (50 fathoms) deep. The daily bag and possession limit is 5 fish, with a minimum size limit of 12 inches total length. When filleting fish on a vessel, the fillet minimum size limit is 6 and three-quarter inches in length and the fillet must bear the entire skin intact. The California sheephead fishery is managed under California’s Nearshore Fishery Management Plan. Although not a federally managed groundfish species, California sheephead is often encountered by fishermen targeting federally managed groundfish. Thus, California sheephead is managed in concert with the federally managed groundfish group, which includes over 90 species that live on or near the bottom of the ocean (with a few exceptions). View a summary table of groundfish regulations. The recreational fishery for ocean whitefish (PDF)(Caulolatilus princeps) is open year-round to divers and shore-based anglers. This fishery is open to boat-based anglers from April 1, 2019 through December 31, 2019. This species may only be taken or possessed in waters less than 300 feet (50 fathoms) deep. The daily bag and possession limit is 10 fish, with no minimum size limit. When filleting fish on a vessel, the fillet minimum size limit is 6 and one-half inches in length and the fillet must bear the entire skin intact. The ocean whitefish fishery is managed by the state of California. Although not a federally managed groundfish species, ocean whitefish are often encountered by fishermen targeting federally managed groundfish. Thus, the ocean whitefish fishery is managed in concert with the federally managed groundfish group, which includes over 90 species that live on or near the bottom of the ocean (with a few exceptions). View a summary table of groundfish regulations. Outside of Elkhorn Slough: The recreational fishery for leopard shark (Triakis semifasciata) is open year-round to divers and shore-based anglers. The fishery is open to boat-based anglers from April 1, 2019 through December 31, 2019. This species may only be taken or possessed in waters less than 300 feet (50 fathoms) deep. Within Elkhorn Slough, the fishery is open year-round to all anglers and divers, except that in Elkhorn Slough State Marine Conservation Area only hook-and-line fishing is allowed. Also note that in Elkhorn Slough State Marine Reserve no fishing of any kind is allowed. There is no depth limit for this species within Elkhorn Slough. The daily bag and possession limit for leopard shark is 3 fish with a minimum size limit of 36 inches total length. The leopard shark is part of a group of fish known as groundfish, which includes over 90 species that live on or near the bottom of the ocean (with a few exceptions). View a summary of groundfish regulations. The recreational fisheries for soupfin shark (PDF)(Galeorhinus zyopterus) and spiny dogfish (Squalus acanthias) are open year-round to divers and shore-based anglers. These fisheries are open to boat-based anglers from April 1, 2019 through December 31, 2019. These species may only be taken or possessed in waters less than 300 feet (50 fathoms) deep. The bag and possession limit for soupfin shark is one fish with no minimum size limit. The daily bag and possession limit for spiny dogfish is 10 fish within the 20-fish general bag limit, and there is no minimum size limit. When filleting fish on a vessel, each fillet must bear intact a one-inch square patch of skin. Soupfin shark and spiny dogfish are part of a group of fish known as groundfish, which includes over 90 species that live on or near the bottom of the ocean (with a few exceptions). View a summary table of groundfish regulations. The recreational fisheries for all other federally managed groundfish species are open year-round to divers and shore-based anglers. These fisheries are open to boat-based anglers from April 1, 2019 through December 31, 2019. These species may only be taken or possessed in waters less than 300 feet (50 fathoms) deep. Refer to the California Ocean Sport Fishing Regulations for size limits, bag limits and other regulations pertaining to these species. The groundfish group includes over 90 species that live on or near the bottom of the ocean (with a few exceptions). View a summary table of groundfish regulations. 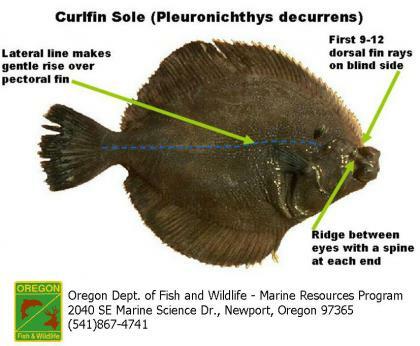 The recreational fishery is open year-round to all anglers and divers for the following species: Pacific sanddab (Citharichthys sordidus), butter sole (Isopsetta isolepis), curlfin sole (Pleuronichthys decurrens), flathead sole (Hippoglossoides elassodon), rex sole (PDF)( Glyptocephalus zachirus), rock sole (Lepidopsetta bilineata), and sand sole (Psettichthys melanostictus). When filleting fish on a vessel, each fillet must bear a one-inch square patch of skin. Refer to the California Ocean Sport Fishing Regulations for size limits, bag limits and other regulations pertaining to these species. Pacific sanddab and other flatfish are part of a group of fish known as groundfish, which includes over 90 species that live on or near the bottom of the ocean (with a few exceptions).View a summary of groundfish regulations. The recreational fisheries for petrale sole (Eopsetta jordani) and starry flounder (Platichthys stellatus) are open year-round to all anglers and divers. 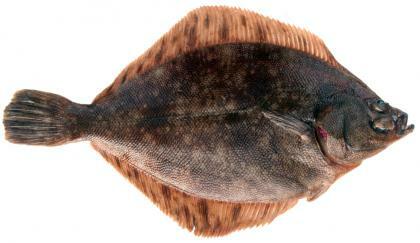 There are no depth restrictions or bag limits for petrale sole or starry flounder. When filleting fish on a vessel, each fillet must bear a one-inch square patch of skin. Refer to the California Ocean Sport Fishing Regulations for complete sport fishing regulations information. The recreational fishery for ocean salmon (PDF) is open from April 6, 2019 through August 28, 2019. The daily bag and possession limit is 2 salmon of any species except coho, with a minimum size limit of 24 inches total length. No more than two daily bag limits may be in possession when on land. On a vessel in ocean waters, no person shall possess or bring ashore more than one daily bag limit. For important information on gear restrictions and other ocean salmon sport fishing regulations, see the 2019 Ocean Salmon Sport Regulations flyer (PDF) and the current Ocean Sport Fishing regulations booklet. You may also call the Ocean Salmon Regulations Hotline at (707) 576-3429 for ocean salmon sport fishing information. For more information about the ocean salmon fishery, please visit the California Ocean Salmon Seasons web page. Open year-round, except that white sharks (Carcharodon carcharias) may not be taken or possessed at any time. The bag limits for sixgill shark (YouTube)(Hexanchus griseus) and sevengill shark (PDF) (Notorynchus cepedianus) allow take of one fish per day with no size limit. The bag limits for shortfin mako shark (Isurus oxyrinchus), thresher shark (Alopias vulpinus), and blue shark (Prionace glauca) allow take of two fish per day with no size limit. When filleting fish on a vessel, each fillet must bear a one-inch square patch of skin. The recreational fishery for California halibut (Paralichthys californicus) remains open year-round. The daily bag and possession limit is three fish north of Point Sur, Monterey County, and five fish south of Point Sur, Monterey County. The minimum size limit is 22 inches total length. When filleting fish on a vessel south of Point Arena (Mendocino County), the fillet minimum size limit is 16.75 inches in length and the fillet must bear the entire skin intact. The recreational fishery for white seabass (Atractoscion nobilis) remains open year-round. The daily bag and possession limit is three fish except that only one fish may be taken in waters south of Point Conception between March 15 and June 15. The minimum size limit is 28 inches total length or 20 inches alternate length. When filleting fish on a vessel, the fillet minimum size limit is 19 inches in length and the fillet must bear intact a one-inch square patch of silver skin. The recreational fishery for surfperch (family Embiotocidae) is open year-round. The daily bag and possession limit is 20 fish in combination of all species (except shiner perch), with not more than 10 fish of any one species. Shiner perch (Cymatogaster aggregata) have a separate bag and possession limit of 20 fish. Redtail surfperch (Amphistichus rhodoterus) have a minimum size limit of 10½ inches total length. The recreational fishery for white sturgeon (Acipenser transmontanus) remains open year-round. The daily bag and possession limit is one fish that must be between 40 inches and 60 inches fork length. The annual limit is three (3) sturgeon per person. Short or oversized sturgeon must be released unharmed immediately; note that white sturgeon greater than 68 inches fork length may not be removed from the water prior to their immediate release. No snare may be used to assist in taking sturgeon. Only one single barbless hook may be used on a line to take sturgeon. The sturgeon must voluntarily take the bait or lure in its mouth. No sturgeon may be taken by trolling, snagging, or by the use of firearms. Sturgeon may not be gaffed, nor shall any person use any type of firearm to assist in landing or killing any sturgeon. Any person fishing for sturgeon shall have in their possession a non-transferable Sturgeon Fishing Report Card and complete it in accordance with California Code of Regulations Title 14, Section 27.90. Green sturgeon (Acipenser medirostris) may not be removed from the water, taken, or possessed at any time. Green sturgeon must be released immediately without being removed from the water. The recreational fishery for tunas is open year-round. Refer to the California Ocean Sport Fishing regulations booklet for bag limits, possession limits, filleting procedures on vessels, and other regulations pertaining to these species. The recreational fishery for Dungeness crab (Metacarcinus magister) is open from November 3, 2018 through June 30, 2019. The daily bag limit is 10 crab, and the minimum size limit is 5¾ inches. Recreational crabbing is not allowed from vessels licensed for commercial Dungeness crab fishing. Review crab measurement methods (PDF) and the current Saltwater Sport Fishing regulations booklet for more Dungeness crab fishing information. Call the CDFW Domoic Acid Fishery Closure Information Line at (831) 649-2883 for the latest status of the Dungeness crab season. For updated crab consumption advisories, call the California Department of Public Health's Shellfish Biotoxin Information line at: (510) 412-4643 or toll-free at (800) 553-4133, or check CDFW's Finfish and Shellfish Health Advisories web page. The recreational fishery for all rock crab species, including rock crab (Cancer antennarius), yellow crab (Cancer anthonyi) and red crab (Cancer productus) is open year-round. The daily bag limit is 35 crab, and the minimum size limit is 4 inches. Review crab trap regulations that went into effect in 2016, crab measurement methods (PDF), and the current Saltwater Sport Fishing Regulations booklet for more rock crab fishing information. See additional information about rock crab and other species of crab. The recreational season for California sea mussel (Mytilus californianus) and bay mussel (Mytilus trossulus) remains open year-round. The daily bag and possession limit is 10 pounds (in the shell) of California sea mussels and bay mussels in combination. Note that the California Department of Public Health monitors and annually quarantines mussels to prevent human cases of paralytic shellfish poisoning and domoic acid poisoning; however, warnings advising consumers not to eat recreationally taken shellfish may be issued at any time. The annual quarantine is usually in effect from May through October, and applies only to sport-harvested mussels intended for human consumption. For updated information on warnings, advisories, and quarantines concerning naturally-occurring shellfish toxins, call the California Department of Public Health's Shellfish Biotoxin Information Line at (510) 412-4643 or toll-free at (800) 553-4133. You can also review CDFW's shellfish health advisories web page. The daily bag limit on all marine aquatic plants for which the take is authorized is 10 pounds wet weight in the aggregate, except that 25 pounds of herring eggs on kelp may be collected. No eel grass, surf grass, or sea palm may be cut or disturbed at any time. See the California Ocean Sport Fishing Regulations booklet for complete regulations, including regulations for species not covered here. The recreational fishery for Pacific halibut (Hippoglossus stenolepis) is closed as of September 22, 2018 and is tentatively scheduled to reopen on May 1, 2019. For further information about Pacific halibut, please visit the CDFW Pacific halibut web page. The recreational fishery for red abalone (PDF)(Haliotis rufescens) is closed year-round south of the mouth of San Francisco Bay. For more information, visit the Invertebrate Management Project web pages. Shore-based anglers are fishermen that fish from beaches, banks, piers, jetties, breakwaters, docks and other manmade objects connected to the shore. No vessel or watercraft (motorized or non-motorized) may be used to assist in taking or possessing federally-managed groundfish species, greenlings of the genus Hexagrammos, ocean whitefish, or California sheephead while angling from shore. Divers are scuba or free divers with or without spearfishing gear, entering the water either from the shore or from a boat or other floating object. Except for spearfishing gear, all other types of fishing gear are prohibited aboard a vessel or non-motorized watercraft while diving or spearfishing for the purpose of retaining federally managed groundfish species, greenlings of the genus Hexagrammos, ocean whitefish, and California sheephead during a seasonal closure for boat-based anglers. The recreational fisheries for Pacific halibut and federally managed groundfish species, greenlings of the genus Hexagrammos, ocean whitefish, and California sheephead may close early if the annual harvest guideline for any one specie or species group is met or is expected to be met prior to the end of the year. Check this website regularly or call the Recreational Groundfish Fishing Regulations Hotline ((831) 649-2801) for the latest information. Federally managed groundfish species, greenlings of the genus Hexagrammos, ocean whitefish, and California sheephead may be possessed aboard vessels that are transiting waters deeper than the groundfish management area depth limit only when all fishing gear is stowed. In addition to the fishing regulations presented here (and in California Code of Regulations and California Fish and Game Code), marine protected area (MPA) regulations may further restrict or prohibit sport fishing within MPAs. MPA regulations, maps, and coordinates are available on the CDFW website, in the current Ocean Sport Fishing regulations booklet, and at your local CDFW office.You can also pick up an MPA brochure at your local CDFW office. Information about California MPAs is also available on the CDFW MPA mobile website. Note: Map shows state marine protected areas.